PRIVATE, SPACIOUS AND SERENE. 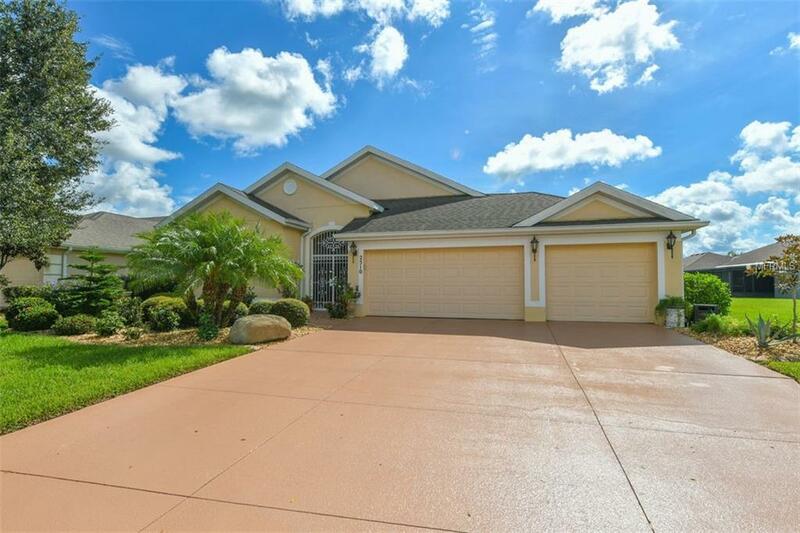 Dont miss your opportunity to own thisMETICULOUSLY MAINTAINED 3 bedroom, 2 bath, Den/Office, 3-car garage home tucked inthe highly sought-after gated community of Chelsea Oaks in Parrish.When you enter through the impressive front Iron gates, double door entry, you are greeted with a spacious foyer and great room. Enjoy an open and split room floorplan boasting 2,142 squarefoot of living space with high tray ceilings and an open concept kitchen.Newer Laminate flooring throughout living areas and bedrooms. Double walk-in closetswithin an expansive Master bedroom suite with double vanity sinks, garden tub and walk-in shower. Savor breath taking sunrises from your upgraded rear lanaienclosure featuring vinyl slider windows and large automatic rear hurricane shutter. NEW water heater, watersoftener system. NEWER IMPACT/DOUBLE PANE Hurricane Windows. Freshly painted driveway and garage floor. Exterior curbing and lush landscaping.Over $30,000 in improvements! GREAT LOCATION...Be in Lakewood Ranchwithin five minutes by way of the new Ft. Hamer Bridge. Neighborhoodamenities include Community Pool, Basketball Court, Playground andNature Walking Trails. Moments from Ft. Hamer Park Boat Ramp. Minutesto shopping, restaurants, award winning beaches, Sarasota, Bradenton,St. Petersburg and Tampa. Call for your private showing today!